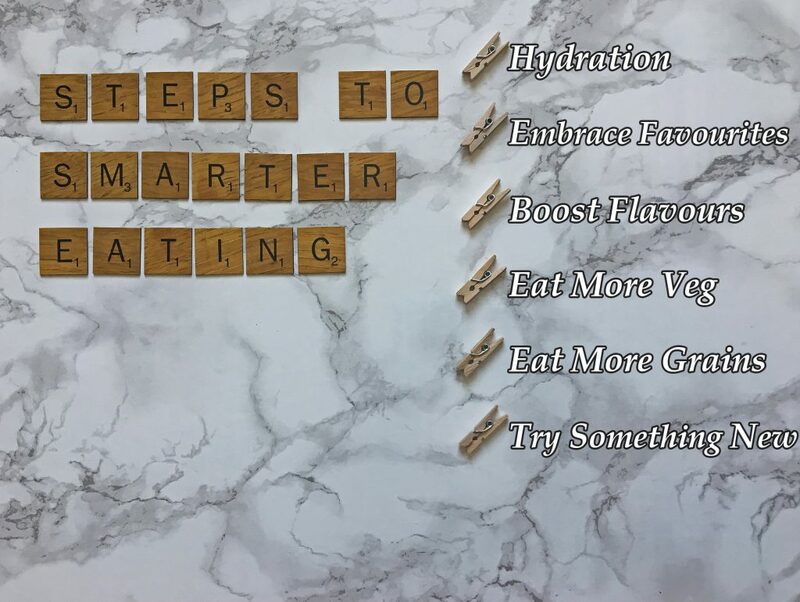 Smarter Eating is something that we can all get into doing more often. Because some of these things are so easy to become good habits too, you just have to be patient. Try introducing them one at a time, and after some time why not do several on occasion and then give yourself a day off from them once a month? There are many ways in which you can look out for your health, and these are the ways I have found to be quite easy. Remember food should be enjoyed but some things need to be in moderation. So we all know that we should be drinking a minimum of 8 glasses of water a day. Depending on the size of the glass that you use, this can equate to anything from 1.5 litres to 2 litres each day. When they say “a day” they mean within 24 hours. So here is my Top Tip – Keep a reusable bottle or glass by the side of your bed, make sure that when you wake with your alarm in a morning that you drink before getting out of bed. Not only are you having your first glass of water, but you are also helping your body to wake up and your blood pressure to regulate as well. Another tip is to carry a reusable bottle of water with you everywhere you go. Not only will it remind you to drink, but it will also save you money because you won’t be buying drinks from shops or vendors. Favourites! We all have them! Embracing the ones that are good for you is definitely the way to go. And if not then why not try and add good things to your faves. Such as halving your bowl of ice cream and adding fresh fruit. Or you could add frozen spinach on top of your favourite pizza! Enjoy your foods but make them better for you. Boosting the flavours of bland foods that are good for you but not entirely pleasant to eat is a great idea. 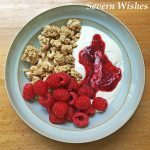 Why not try and add low fat yoghurt to a bowl of fruit or to a bland (but good for you) cereal. You can try low fat versions of your tastier favourites such as cheese, or add fresh herbs to your meals. Dependent on your dietary requirements getting more grains could be difficult. However if you don’t have any allergies you should consider this. Getting more fibre through your diet. I love cereal, and my favourite happens to be high in fibre. Why not make a switch for a week if yours does not and see how you feel. Add fruit or jam if you require a sweetness rather than adding sugar. We all get curious from time to time. My most recent example of this would be when I tried the new range of juice drinks from Tropicana – Tropicana Essentials. Although more expensive than my usual choices I wanted to try something that was meant to be better for me, and more beneficial to my health… It is made of fruit and vegetables and I did notice I had more energy after consuming it on consistent days. Thank you for joining me for this next installment in my well being and health related posts today. I hope that you are able to take something from my tips and they can help you improve your lifestyle.